Each of the three candidates will be at the Madras COCC campus to meet with the public. 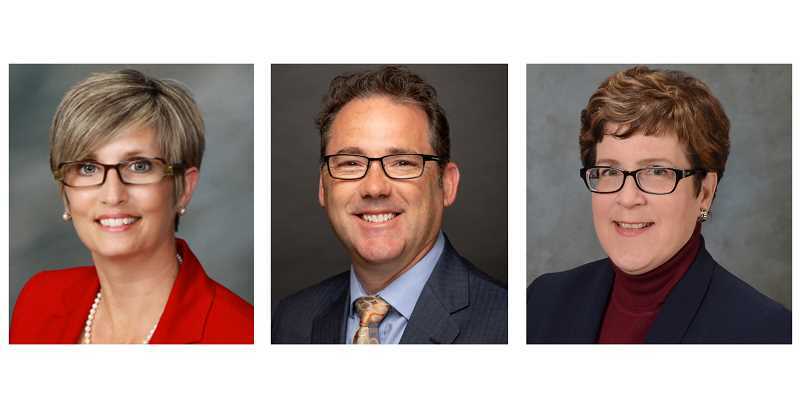 The Central Oregon Community College Board of Directors has named three community college administrators as finalists for the position of college president, whose tenure would begin with the 2019-20 academic year. Each candidate will have a formal interview with the COCC Board of Directors and participate in community meetings in Madras, Bend, Redmond and Prineville in February. The three finalists are Dr. Kimberlee Messina, the former vice president and interim president at Foothill College in California, who most recently served as interim vice chancellor for the San Mateo County Community College District; Dr. Tod Treat, interim vice president for instruction at Wenatchee Valley College in Washington; and Dr. Laurie Chesley, the provost and executive vice president for academic and student affairs at Grand Rapids Community College in Michigan. Messina will be at the Madras COCC campus from 3:15-3:45 p.m. on Tuesday, Feb. 5; Treat, on Friday, Feb. 8, from 1-1:30 p.m.; and Chesley, on Thursday, Feb. 14, from 3:15-3:45 p.m.
Messina earned a bachelor's degree in sociology and a master's degree in Spanish from the California State University at Sacramento. She then earned her doctorate in educational leadership from the University of California at Davis. Messina taught Spanish at UC-Davis and, for 12 years, at Santa Rosa Junior College, and then served as a dean of science, technology, engineering and mathematics at Santa Rosa. From there, she moved to Foothill College as vice president of instruction and institutional research for four years, and then interim president for one. For the next two years, she served as interim vice chancellor of educational services and planning for the San Mateo district. She owns K.S. Messina, Equity in Education Consultant. Treat was executive vice president for academic and student affairs at Tacoma Community College for five years. Treat earned his bachelor's degree in biochemistry from the University of Illinois and a master's degree in chemistry, with a concentration in bioorganic chemistry, from the University of Colorado. After returning to the University of Illinois and earning his doctorate degree in education, he taught chemistry for nine years at Parkland College in Illinois and served in a number of other roles there before being named dean of academic services, a position he held for five years. Following that, he was vice president of student and academic services at Richland Community College, also in Illinois, before moving to Tacoma in 2013. Chesley earned her bachelor's degree in English from Alma College and her master's and doctorate degrees in English at the University of Notre Dame. She taught English at a variety of higher education institutions for 14 years, including five years of full-time teaching at Northwestern Michigan College. She has 18 years of administrative experience, including interim dean of learning at Northwestern Michigan, assistant vice president for academic affairs at Ferris State (Michigan) University, dean of humanities at Montgomery County (Pennsylvania) Community College, and then associate dean and dean of arts and sciences at Grand Rapids Community College, before becoming vice president in 2015. The board hopes to name the new president by early March and have that person in place by July 1. The successful candidate will replace Dr. Shirley I. Metcalf, who has served as president since August 2014.